My Christmas log this year has Chestnut cream filling which I made and kept in the freezer. This is a much smaller swiss roll (Genoise cake) recipe with 2 eggs instead of 3 eggs. Click here for the swiss roll recipe. Chocolate ganache couldn't be easier. I melted 100g of plain chocolate with 2 tsp of milk in the microwave. More Christmas baking? 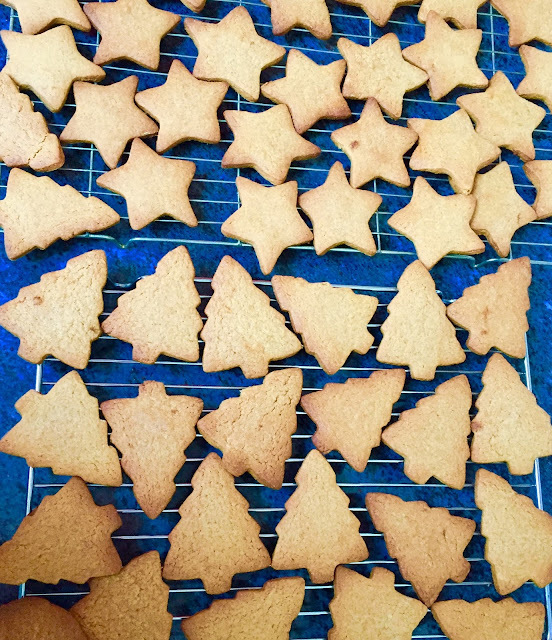 Why not some ginger biscuits? :) Happy Christmas.